Subscribers receive both the newsletter and blog. Receive a free gift when you sign up! Go For the Gusto – Celebrate Cinco de Mayo! Juana was recently featured in a Quad-City Times Article by Thomas Geyer: “Over the course of the next decade, the look of America is going to change, says Juana Bordas, the president of Mestiza Leadership International, a company that focuses on leadership, diversity and organizational change. “We know that in about 10 short years, we’re going to be a multi-cultural nation,” Bordas said before giving her keynote address Friday during the Greater Quad-Cities Hispanic Chamber of Commerce gala at the Quad-Cities Waterfront Convention Center, Bettendorf. Juana will keynote the International Leadership Association’s (ILA) conference in Lima, Peru on August 10-12. 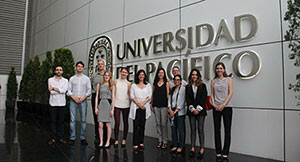 The conference is hosted by La Universidad del Pacifico with the theme Exploring Leadership in Latin America. Juana will speak on the cultural, historical, and political ties that unite Latinos across the hemisphere. For more information check ILA’s website. For the second year, UC Davis has launched their stem initiatives to prepare women faculty from communities of color to reach tenured positions in STEM. Juana will be working with the second cohort of CAMPOS fellows in Sacramento on August 24 and 25. Congratulations to the new class! Hispanic Executive Magazine featured Juana’s book The Power of Latino Leadership in their Winter 2014 issue commemorating Hispanic Heritage Month. From May 11 – June 3 check out interviews with successful women entrepreneurs from around the world. Juana was featured on May 12 speaking on “Embracing our Personal Power – the foundation for leadership”. To hear this fantastic interview and more check their website. 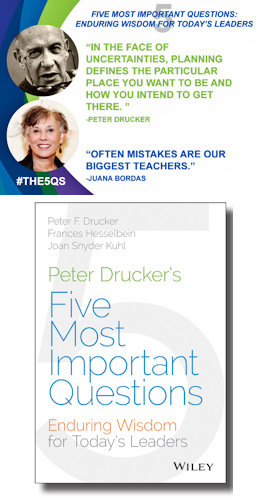 To read Juana’s article “Enduring Wisdom for Today’s Leaders: Peter Drucker’s Five Questions” in PDF format, click here. Juana joins new Latina website that promotes empowerment, networking, and valuable information. 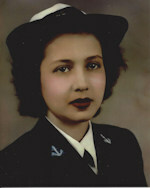 Latina Style magazine featured an article Juana wrote on her sister Rosemary who served in The Waves in World War II and won a medal from President Truman. Rosemary went on to have a successful career in designing and making women’s fashions. She was the oldest in a family of eight and Juana’s role model and mentor. The saying goes, “What happens in Vegas – stays in Vegas.” But what if it’s good news? Well then, let’s hablemos – let’s spread the word. Saturday night, June 28th in Las Vegas, The International Latino Book Awards recognized 231 Latino authors from the US, Panama, Spain, Nicaragua, Puerto Rico and many other Latino counties. Amongst the 231 finalist are well known writers like Isabel Allende, Alma Flor Ada, Edna Iturralde, and Rick Najera. Other honorees include Supreme Court Justice Sonia Sotomayor, and celebrities like TV chef Pati Jinich, the late singer and actress Jenni Rivera, singer Linda Ronstadt and TV personality Lilliana Vasquez. 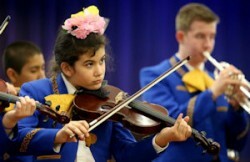 Finalists are from across the USA and from 18 countries outside the USA. 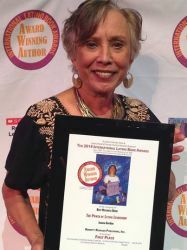 Nautilus Book Awards has recognized The Power of Latino Leadership by Denver author Juana Bordas with the prestigious Gold award in the area of Multicultural/Indigenous Literature. Established in the U.S. in 1998, Nautilus is considered a “major” book award. It recognizes print books of exceptional merit that make a literary and heartfelt contribution to spiritual growth, conscious living, high-level wellness, green values, responsible leadership and positive social change. 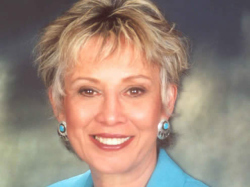 Juana Bordas says she was born to be a social worker, and at 70, she is proudly celebrating 50 years of social service. But Bordas has done much more than that, including writing a new book on Latino leadership with plenty of advice for young Latinos and Hispanics in the workforce. “I saw at a young age that bringing people together empowered people,” says Bordas, who immigrated to Tampa, Florida from a small mining town in Nicaragua on a banana boat when she was nearly 4. During this year’s Hispanic Heritage month, I set out to find answers to questions that have been buzzing in my head for a quite a while: What is the state of Latino leadership in the U.S.? What needs to happen for Latinos to become effective leaders in the 21st century? I was eager to know. So in lieu of a long investigation, I decided to ask four Latinos who are committed to the development of Latino leaders across the country. Phyllis Barajas, Founder and Executive Director of Conexión, a cross-cultural mentoring and leadership development program for mid-career Latinos.